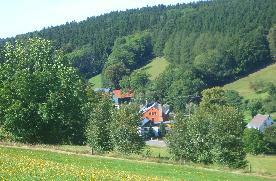 Welcome to Hotel Gasthof Conrad! In our newly refurbished Hotel with a friendly family atmosphere, even the most fastidious guest will want for nothing! 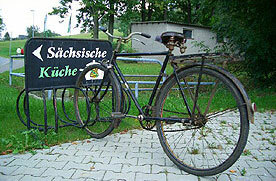 .... in winter as well as summer, with typical Saxon hospitality. facilities, telephone, TV and mini-bar. Just make yourself at home. Green, Silver or Golden Wedding Anniversaries – or any other wedding days will be a special event! 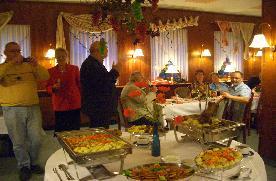 The Restaurant of the HOTEL CONRAD – characteristic for its Saxon hospitality. Hearty meals from the local cuisine will be served in our Restaurant. with strips of pork fillet, and many other specialities on our comprehensive menu. Your holiday will be a delightful scenic experience. 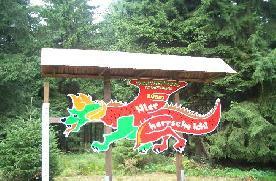 The DRACHENKOPF is with 805m Nassau’s highest elevation.